Our guide to Tampa will help you find the best free wifi hotspots in Tampa Florida. Growth has changed most corners of Florida, and the Tampa Bay area is no exception, but planning and an abundance of preserves have shielded most of it from the overdevelopment that saturates much of the Atlantic Coast. Granted, this is one of the state's largest metro areas, but it is less fast-lane than Miami. Whereas Tampa has Florida's third-busiest airport and a vibrant business community, St. Petersburg and Clearwater have exceptional beaches, and the entire bay area has superior hotels and resorts that make this an excellent place to spend a week or a lifetime. There are tons of great free wifi hotspots in the city of Tampa, our city guide will help you find the best free wifi hotspots. You may have a hard time deciding what to do in Tampa, but we make your decision easy. 10007 Princess Palm Ave, (813) 622-8557 - AmeriSuites-Tampa Sabal Corporate Park is a free wifi hotel / motel / resort located in Tampa FL. 101 E Tyler St, (813) 221-4224 - Residence Inn Tampa Downtown is a free wifi hotel / motel / resort located in Tampa FL. 10150 Palm River Rd, (813) 661-9719 - Fairfield Inn & Suites Tampa Brandon is a free wifi hotel / motel / resort located in Tampa FL. 10220 Palm River Rd, (813) 653-1905 - Embassy Suites Tampa Brandon is a free wifi hotel / motel / resort located in Tampa FL. 10309 Highland Manor Dr, (813) 626-6700 - Hilton Garden Inn Tampa East/Brandon is a free wifi hotel / motel / resort located in Tampa FL. 11310 N 30th St, (813) 971-7690 - Holiday Inn Hotel & Suites near Busch Gardens-USF is a free wifi hotel / motel / resort located in Tampa FL. 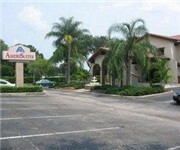 11408 N 30th St, (813) 979-1922 - AmeriSuites Busch Gardens is a free wifi hotel / motel / resort located in Tampa FL. 13420 N Telecom Pkwy, (813) 972-4400 - Residence Inn Tampa North/I-75 Fletcher is a free wifi hotel / motel / resort located in Tampa FL. 13575 Cypress Glen Ln, (813) 978-9898 - "Get FREE high-speed Internet access at this Courtyard AS OF JANUARY 2007, ALL ROOMS AND PUBLIC AREAS HAVE BEEN RENOVATED! We are 100% SMOKE FREE! 17301 Dona Michelle Dr, (813) 979-2828 - Wingate By Wyndham is a free wifi hotel / motel / resort located in Tampa FL. 2225 N Lois Ave, (813) 877-6688 - Hilton Tampa Airport Westshore is a free wifi hotel / motel / resort located in Tampa FL. 2701 E Fowler Ave, (813) 971-4710 - Holiday Inn is a free wifi hotel / motel / resort located in Tampa FL. 3001 University Ctr Dr, (800) 786-7446 - Best Western All Suites Hotel Near Usf Behind Busch Gardens is a free wifi hotel / motel / resort located in Tampa FL. 3705 Spectrum Blvd, (813) 977-7066 - Embassy Suites Busch Gardens is a free wifi hotel / motel / resort located in Tampa FL. 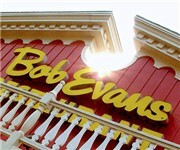 10119 Horace Ave, (813) 684-1638 - Bob Evans Restaurants providing homestyle food and friendly service. Bob Evans has something for everyone at breakfast, lunch and dinner. 11302 N 30th St, (813) 977-7925 - Village Inn is a free wifi restaurant located in Tampa FL. 14266 N Dale Mabry Hwy, (813) 908-7023 - J. Christopher's Breakfast is a free wifi restaurant located in Tampa FL. 1500 N Westshore Blvd, (813) 282-3636 - Gaspar's Restaurant & Tavern is a free wifi restaurant located in Tampa FL. 1809 W Platt St, (813) 250-1595 - The Rack is a free wifi restaurant located in Tampa FL. 301 W Platt St, (813) 258-8778 - NOLA Café is a free wifi restaurant located in Tampa FL. 3246 W Columbus Dr, (813) 879-9704 - La Teresita Restaurant is a free wifi restaurant located in Tampa FL. 2511 W Swann Ave, (701) 228-5455 - Minor's Market is a free wifi fast food located in Tampa FL. 10069 W Hillsborough Ave, (813) 884-2579 - Joffrey's Coffee & Tea is a free wifi coffeeshop / cafe located in Tampa FL. 10118 Montague Blvd, (813) 926-4430 - The Montague & Linebaugh Starbucks offers free WiFi in addition to coffee, espresso and other hot and cold drinks. 118 S Westshore Blvd, (813) 636-8500 - Westshore & Kennedy Starbucks now provides customers with free wi-fi in addition to the normal coffee and espresso served up daily. 13811 W Hillsborough Ave, (813) 814-2200 - The Racetrack Rd & Hillsborough Ave Starbucks offers drip brewed coffee, espresso and other drinks and snacks and is also a free WiFi hotspot. 14394 N Dale Mabry Hwy, (813) 962-1179 - The Shoppes of Carrollwood Starbucks offers free WiFi in addition to coffee, espresso and other hot and cold drinks. 1508 N Westshore Blvd, (813) 639-9677 - The Fidelity Starbucks offers free WiFi in addition to coffee, espresso and other hot and cold drinks. 1600 E 8th, (813) 241-4457 - Centro & Ybor Starbucks now provides customers with free wi-fi in addition to the normal coffee and espresso served up daily. 17500 Kambridge Pt Dr, (813) 977-7400 - The Coffee Beanery is a free wifi coffeeshop / cafe located in Tampa FL. 17525 Preserve Walk Ln, (813) 866-9552 - The BB Downs & Richmond Park Dr. Starbucks offers free WiFi in addition to coffee, espresso and other hot and cold drinks. 2223 Nwestshore Blvd, (813) 353-1840 - Baystreet Store Starbucks now provides customers with free wi-fi in addition to the normal coffee and espresso served up daily. 225 Westshore Plz, (813) 287-1750 - The Westshore Plaza Starbucks offers drip brewed coffee, espresso and other drinks and snacks and is also a free WiFi hotspot. 304 E Davis Blvd, (813) 254-7075 - Grounds Coffee House is a free wifi coffeeshop / cafe located in Tampa FL. 3203 W Bay To Bay Blvd, (813) 837-7022 - Bean There Cafe is a free wifi coffeeshop / cafe located in Tampa FL. 3308 W Kennedy Blvd, (813) 348-2395 - Ruby Cafe is a free wifi coffeeshop / cafe located in Tampa FL. 3409 Bay To Bay Blvd, (813) 835-0506 - The 3400 Bay to Bay Blvd. Starbucks offers drip brewed coffee, espresso and other drinks and snacks and is also a free WiFi hotspot. 3619 W Gandy Blvd, (813) 831-5179 - The W Gandy Blvd & S Himes Starbucks offers free WiFi in addition to coffee, espresso and other hot and cold drinks. 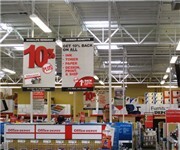 1725 N Dale Mabry Hwy, (813) 874-8814 - Best Buy is a free wifi store located in Tampa FL. 222 S Dale Mabry Hwy, (813) 876-3528 - Press Box Sports Emporium is a free wifi store located in Tampa FL. There are plenty more free wifi hotspots in Tampa. See all free wifi hotspots in Tampa Florida.